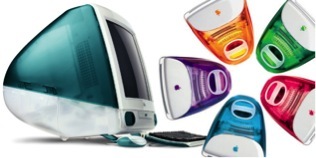 The first generation of iMac was first released back in 1998. This machine, as odd as it may seem, was an innovation of its time. With its built in CRT display and colour synced bodies and accessories, it was a hard act to follow for Apple. Apples next creation surpassed the iMac G3 by a mile and, in my books, is still the most aesthetically pleasing mac to date. With its flat screen LCD, and the chrome-polished arm, the feather touch angling display was an absolute marvel. First released in 2002, the iMac G4 was sadly discontinued a year later because it was too expensive to manufacture on a large scale. The next generation of iMac would change the way an all-in-one computer would be viewed for a long time to come. 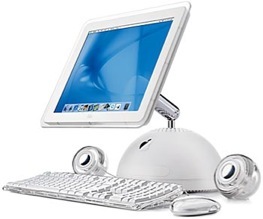 The iMac G5 was first introduced in 2004 and was given a hardware update twice through its short 1 year of being manufactured, firstly with an ambient light sensor in early 2005, then in late 2005 with a built in iSight camera. 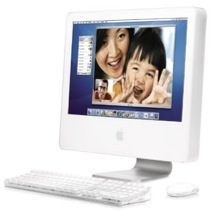 Although it had its flaws, this model became the basis for the design of many iMacs to come. The casing didn’t take much of a change when the iMac went intel in early 2006 (besides the machine being built in the reverse order to the G5, as the G5 was built from the LCD backwards with a removable rear panel to access the internal circuitry… with the exception of the iSight model of G5 that is. But the White intel iMac was built from the back to the front, with the LCD and front bezel being the last stage in its construction), but the intel chip dramatically changed the way in which Macs were used. The dramatic speed increase was the first noticeable difference, that’s for sure. As for the partition on the internal hard drives changing from an Apple Partition Map to a GUID partition presenting a problem when upgrading or swapping macs, this was overcome by the introduction of the Migration Assistant years prior. All in all, the intel iMac was a fabulous piece of kit, even in this day and age. 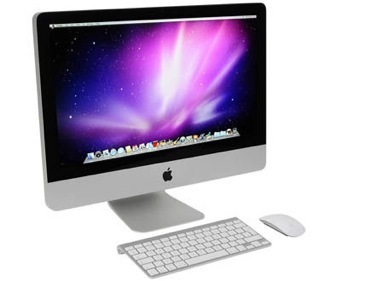 The next generation to follow the white Intel iMac was the first aluminium iMac in 2007. This was another hardware upgrade of substantial measures. Not only was it now encased in a beautifully designed aluminium body, but it was also more powerful with better built in graphics to boot! What more could you ask for? A hard act to follow you might say? Not for the likes of Apple… The release of the next generation of Aluminium iMac was not as overt as the previous change from white to aluminium, but for the keen eyed among you, the casing design was still improved in many ways. Along with this generational upgrade in Late 2009 came still further hardware upgrades in processor speed, graphics card capability and, well, overall awesomeness. Now each iMac was not without its flaws… The G3s were prone to fry their CRT displays, while the G4s often blew out their internal power supplies or backlight tubes (in the LCD panel). The G5s had a notorious problem with the logic board capacitors swelling and leaking, which usually caused a graphics fault or kernel panic of some kind, and the white Intel iMacs often blew their internal power supplies. The 24” 2008 Aluminium iMacs NVidia 8800 graphics card usually failed due to a de-flux of the solder used on the main chip… Need I go on? 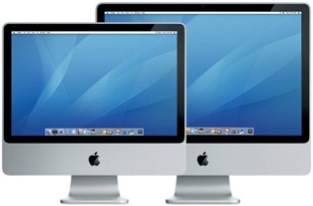 The first instance it was apparent that there was a limitation in the way in which the iMacs were being configured was in Late 2009 when the second revision of Aluminium iMac was released. Each model before this used an external thermal sensor (attached to the surface of the drive) in order to regulate the internal temperature of the machine. 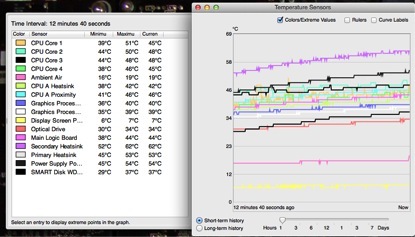 The data is then sent to the main logic board, and the fan RPM speed is adjusted accordingly. The later generations of Aluminium iMac have 16 internal sensors, both ambient and surface temperature sensors. 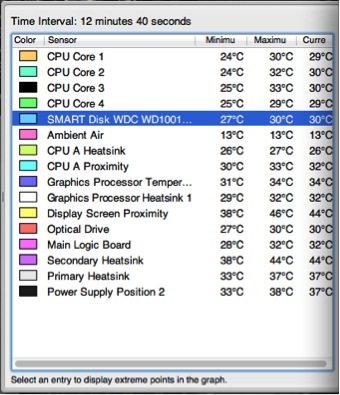 With the 2009 and 2010 generations of 21.5” and 27” iMacs they still used a sensor cable, but instead of using an external surface temperature sensor, they started using the internal SMART disk to regulate the temperature of the drive. This made it difficult to upgrade or change hard drives in these models because each manufacturer uses a different connection on their drives, so if you changed manufacturers, you’d also have to change the thermal sensor cable to match the replacement drive… This limited the possible upgrade choices, as Apple only outsourced to 4 hard drive manufacturers when these machines were made (Samsung, Western Digital, Hitachi and Seagate), so the likes of Toshiba or other such brands was out of the question if you didn’t want to use an application to override the SMART disk temperature reading. The other complication in this frustrating dilemma is that only certain hard drive firmware revisions will work, even if you were to use the same manufacturer that was previously fitted to your machine. Due to the lack of any information on what revisions were compatible, it often turned into a game of russian roulette when trying to find one that would work. It wouldn’t cause any damage to the machine to try different drives, but not everyone has access to 100 different drives of varying capacities and ages to see if they register with the machine. The only other option in these ranges was to fit a hard drive sensor jumper cable to the sensor port of the logic board. This would overcome the issue of the fans spinning up at full speed, but it would not help if the machine or drive were being pushed hard. These jumper cables were designed for when an SSD was being fitted in the second hard drive bay and the primary 3.5” hard drive was being removed (this is possible with the 2010 model 27”, as well as the 2011 27” and the 21.5” Early 2011 machines, but in a slightly different way for each). All it does it bypasses the sensor and the fan will spin at idle speed (1200RPMs) and will not adjust when the machine gets hotter… this option is not advisable in most cases. The problem with the 2011 iMacs was even more aggravating, as they stopped using the separate sensor cables to communicate to the SMART disk of the drive, so this meant there was no longer a port on the logic board for the sensor to work with, and they started using the SATA power cable to transfer the data… What a pain! After trying many, many drives and not finding any firmware revisions that worked without causing the fans to kick up to full RPMs, I decided it was time to see if anyone else had a fix for this problem. Much to my dismay, all but one company I contacted had started coming up with a hardware solution to this problem. I for one wasn’t a fan of potentially having to spend £300+ for a replacement hard drive from Apple if my internal drive were to fail, considering you can pick up a 2TB 3.5” drive for around £75 now-a-days… The solution of using software to control the hard drive fan was another option, but the idea of relying on an application to keep my machine cool wasn’t what I would call a long-term solution for a brand new mac. If anything, it would work as a stopgap until a real solution was made at a later date. Needless to say, after 6 months of waiting for this hardware solution to be manufactured by this company, I had decided I’d had enough. Having to constantly turn customers away for hard drive upgrades or replacements because we didn’t have a solution was beginning to get to me. That’s why I decided to come up with my own solution to the problem. First it was important to figure out which data tracts were sending the thermal sensor details from the drive to the mac. Then I had the fun job of dissecting the cable and diverting the cable away from the hard drive… the next stage would be to find a sensor that works at the same frequency as the internal SMART disk. This didn’t prove to be very difficult. So after finding the details that I needed, I then ordered a batch of the sensors I needed from a supplier and made a few of the cables to test. Having established that the solution worked, my next task is to find a way of creating not just a cable, as the cable attaches to the underside of the main logic board, so can be a bit fiddly to fit, but to come up with an adapter for the cable so the logic board doesn’t need to be handled at all. It would simply entail unplugging the hard drives power cable, plugging in the adapter and sticking the sensor to the outside of the drive, and then away you go. Let me know your thoughts, and I hope you’ll drop by our web store if you have any service spare needs! 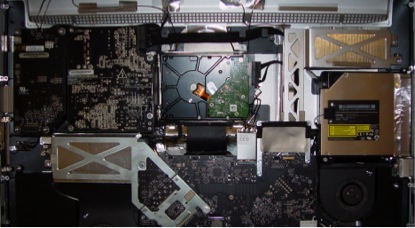 This entry was posted in Questions and Answers and tagged 21.5" 2011, 27" 2011, computer, iMac 27" 2011, iMac Aluminium, imac fix, imac hard drive, Sensor problem, technology, upgrade. Bookmark the permalink. Very important article on this issue…been fighting it myself. 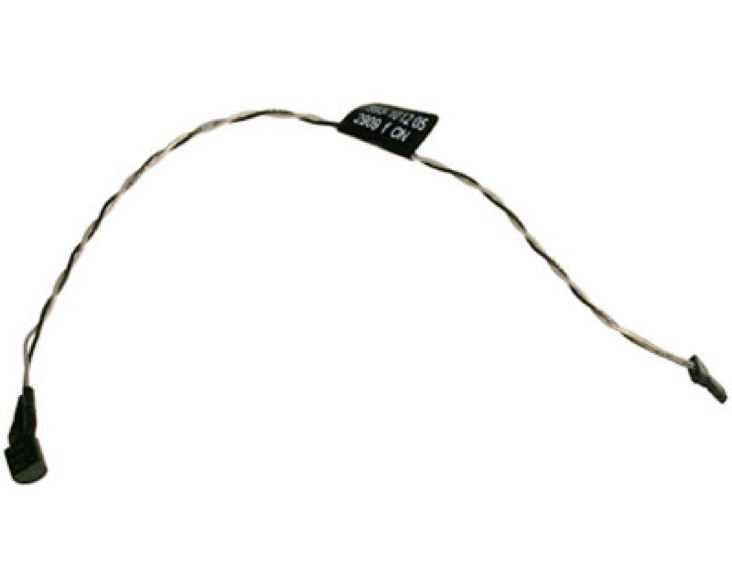 Are you implying that on Mid 2011 Imacs that the absence of a dedicated hard drive temp sensor cable (by design) that the unit may still see fans rev high? And that a non-compatible hard drive firmware version may cause this? If so, even the fools at Apple haven’t addressed such a scenario, nor do they want to (stubborn primadonnas). can you leave a schematic diagram of the cable in question to override the hdd and sensor issue for imac 2011 mid and late models. Great article. My problem is that I have TWO drives in my mid 2011 27″ iMac. The boot drive is an SSD and the secondary from Apple is a Hitachi 3.5″ 1.5TB drive. Regarding the fan problem with non-Apple drives, another popular Mac fixit stated that when replacing the SECONDARY drive a special cable was not required and that any standard HD would work. Do you know this to be the case? There are 3 basic HD configuration options for the 2011 27″ model, each of which requires a different setup. Putting it simply, only the main 3.5″ bay can control the fan speed (as explained in the blog above). If you have one 3.5″ drive fitted, it has to either be a drive with apples firmware, or use the custom cable mentioned. If you have only an SSD fitted (it’s usually in the secondary bay behind the optical drive) then you need a special ‘jumper cable’ to fit to the 3.5″ HD bay’s power socket on the logic board, to override the sensor so it doesn’t kick the fan up full speed. The other setup would have both a 3.5″ and an SSD (or 2.5″ HD) fitted to the machine, but only the 3.5″ drive is regulated using the SMART disk firmware of the drive. So you would either need a drive with the correct firmware, or the cable mentioned above. Thanks for the very quick and thorough reply! I am puzzled why this other major Mac repair website would say that I would NOT need a special cable on my secondary drive. I want to do the repair myself but not have to redo it if the fan is running at high speed all the time. I am not adding to my iMac. It already has two drives, the SSD as the boot drive and the 3.5 Hitachi 2TB SATA drive. I only want to REPLACE my secondary Hitachi drive. So to be clear I need the special cord when the drive is not the main drive because the tech people at OWC state otherwise? Regardless of which drive is set as the ‘boot drive’ (this is done through OS X, so is a software function) the 3.5″ SATA HD is always referred to as the first, or primary drive, whereas the 2.5″ SATA drive, or SSD, is referred to as the secondary drive, as it’s in the secondary SATA bay behind the optical drive. In any situation where the 3.5″ drive is being changed for a drive without the correct firmware (which in our experience, only the drives originally shipped with them do), then the custom cable is a requirement to make it work. The only other solution is to use HD fan control software, which, as stated above, is not the most ideal situation. I am puzzled why OWC states otherwise. Can you confirm where they stated otherwise? Was it on their site or via email? It was confirmed via email. I am copying and pasting the body of the three emails below. The primary drive is the only one with the cable requirement. All you need is a drive. Am I reading this correctly? If I were to replace the main drive in my mid 2011 27 inch iMac I WOULD NEED a special cable BUT NOT if I am only replacing the secondary drive? This is very important for me to get this right. See why I am confused? But all that is required in a 2 drive configuration, is for the 3.5″ drive to either have the correct apple firmware, or the manufactured cable with the external sensor. – use an external thermal sensor cable. The options you mentioned are valid, but the first one isn’t always doable, because you need to make sure your seagate drive has the correct firmware on it to work with the built in SMART disk function, but SSDs don’t tend to have the external ports seen on the 3.5″ drives. I would use an external thermal sensor for your model of machine, part number 593-1029 as found in the link below. Great article, I wonder if you can help me with an issue on my mac that having read your article am wondering if is related. I have a mid 2010 27″ iMac, my original drive decided to pack up, turned out apple had recalled it but I missed the email 😦 I then decided to follow the iFixit solution and added a 256GB SSD and a 3TB Seagate HDD to replace the original 1 TB. Install went well, machine fired up and ran brilliantly. Recently however, when I boot up, the HDD will eject, saying the drive is not readable, yet, prior to that the drive works fine? I don’t have fans over spinning, my machine is running a normal temps and the SSD is working perfectly, although getting fuller all the time! I am trying to work out what to do to fix the drive ejecting issues and would be really grateful of any ideas. I hate to break it to you, but this is not a thermally sound solution to replacing a hard drive of a 2011 iMac. From the pictures, you seem to have spliced a “temp sensor” from older model. These sensors are usually just a 2nXXX transistor. Mir you connect the BC legs to one lead and the E leg to the other lead you effectively make a diode. 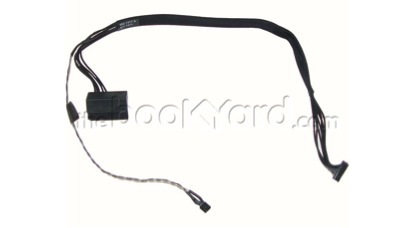 Inserted into the correct wires of the saga cable will create a short between the 2 pins in the 7 pin connector that Apple jumpers with a piece of wire when a SSD only iMac was purchased. You can test this by heating your Sensor and see if the fan speed increases. I bet it won’t. These iMac ranges are designed to have just an SSD fitted, but when only one SSD is fitted, it’s usually done so behind the optical drive, with the sensor jumper cable on the 3.5″ HD bay port to level out the fans. You can replace the primary 3.5″ drive with an SSD, but if it’s not an apple drive with the correct firmware, it’s very hit and miss whether it will work without kicking up the fans. In our experience, there are a few drives that do work without needing a separate sensor cable fitted, but they are few and far between. There are no records of part numbers or batch IDs to help identify them, so it’s literally trial and error. As a repair company, we have access to hundreds of drives to try, but the average user doesn’t want the risk of buying one that doesn’t work, and the potential of leaving their only working machine open for weeks trying various drives. So as long as you have the mounting brackets and the 2 SATA cables, you won’t need any other sensors to make it work. Hi, is the cable still available? Thank you for all the work you have done on this. Apple are clearly trying to be far to clever for their own good, no doubt using the SMART data to save money and attempt a tie in to Apple only repacements. Nothing wrong with analogue control of the fans, which are still required in a configuration with a Fusion drive. Having read and digested all of the above my question is, if my (27″ Mid 2010) 1TB HDD fails to supply SMART data when I have added an SSD in the 2.5″ bay behind the optical drive and set that to be the primary boot the fans will continually run too fast. Yes, they are quite frustrating on that front. Just to clarify, the runaway fan issue has nothing to do with fitting a 2nd drive or setting a different drive as the primary boot drive. It has to do with whether or not the 3.5″ drive in the machine has the correct firmware on it. So if you are fitting a 2nd drive (behind the GPU heatsink), and are setting it as the primary boot drive, but you have not changed your 3.5″ apple branded original drive, then you have nothing to worry about, as it will always look to that drive for temperature data. If you are removing the 3.5″ drive, you need to put a jumper cable on the sensor socket to make it blank out the drive temperatures. 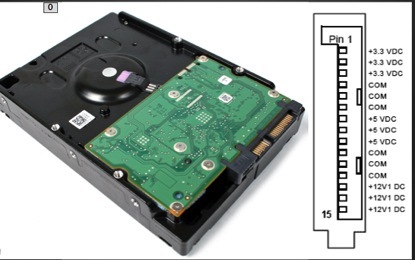 If you are fitting a replacement drive to the 3.5″ hard drive bay, then you will need a replacement sensor to override it.